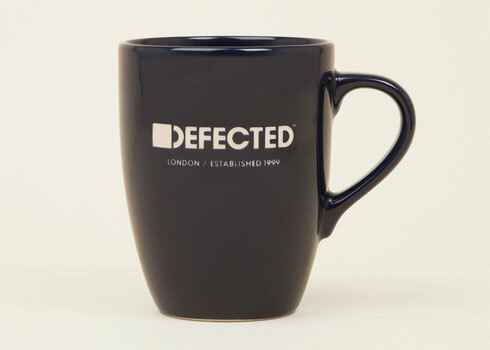 New lines have just been added to the Autumn/Winter 15 collection from Defected and Strictly Rhythm, including the Defected branded mug. 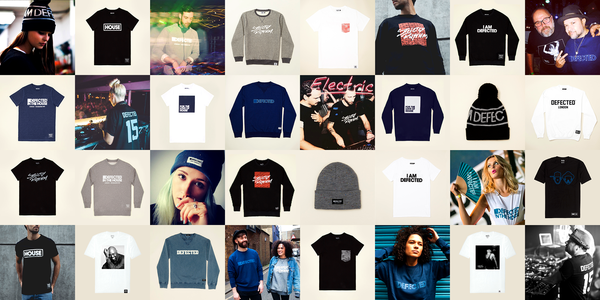 The new branded house music street wear collection features exclusive lines from Defected and branded apparel from house music labels, brands and artists such as New York’s Strictly Rhythm, Masters At Work and For The Love Of House. Apparently bringing a fresh look and feel to the usual music label merchandise, the new season range is created in conjunction with a Shoreditch-based design team, with garments manufactured in the same factories as leading men’s international fashion labels. A variety of tees and sweats have already received coverage in publications such as GQ, The Sartorial Scout and Sabotage Times and are currently being championed by artists and DJs on the house music scene. The new season range available exclusively at DStore features three new Defected In The House designs and four new Strictly Rhythm styles, introduces a brand new series of four new ‘House’ sweats and tees, alongside the ‘For The Love Of House’ range. All the sweats and tees are created using 100% cotton with classic colour ways and contemporary styles, and are available exclusively from the DStore, the online clothing store launched last year by Defected Records. Hi there, I desire to subscribe for this webpage to get newest updates, so where can i do it please assist.